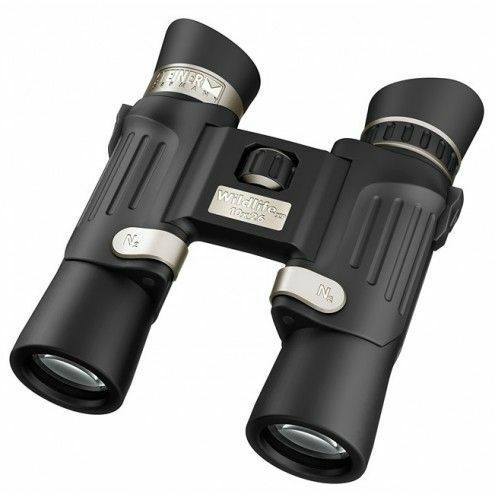 The 10x26 combination on these Steiner Wildlife XP’s is a popular choice for a compact binocular, especially when you add into this the space saving double hinge design as it provides you with an instrument that is powerful but also remains small enough to easily pack away and carry wherever you go. 10x magnification gets you closer to the action and presents you with more image detail than an 8x instrument. However, it is also not too powerful which can adversely affect the view by making it more difficult to keep the image still and reduce the field of view by too much and thus make it difficult to find and then follow all the action. The 2.6mm exit pupil that combination of the 10x power and 26 mm lenses on these binoculars produce is perfectly fine for daytime use, however as it gets darker and the pupils of your eyes get larger these binoculars will not seem to produce as bright an image as those with a larger exit pupil. This is something to keep in mind if you often use your binoculars in low light situations. Ideal uses include most holiday adventures, but especially those where viewing wildlife is involved like an African Safari. These are also great binoculars to use on a camping or hiking trip where size and weight are also of great importance.